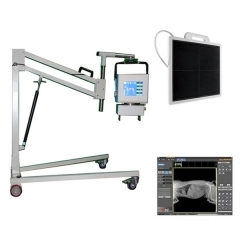 Vet Ultrasound Machine, Top brand in China, as famous as Mindray, 15 inch color screen display. Our main product including Color Doppler and B/W Ultrasound, Portable and Trolley Ultrasound, 4D Trolley and Portable Ultrasound etc. 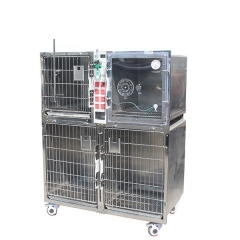 Combination Vet Cage, Quality #304 Stainless Steel, durable, size can be customized. Our main products including Boarding cages, Pet Display cages, Oxygen cages, Transfer cages, Injection cages, Bathing tub, etc. Veterinary Anesthetic Machine, both outstanding and inexpensive, it has the best cost performance that can satisfy any customer. Our operation equipment is including Anethesia machine, Ventilator, Operation lamp, Electrocautery unit, Infusion pump, Patient monitor, etc. 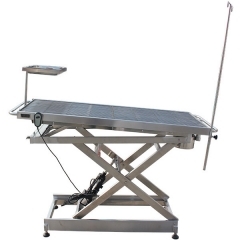 Vet Operating Table, Quality #304 Stainless Steel, durable, size can be customized. Our main products including Treatment Tables, Cleaning Sink, Surgery Tables, Dissecting Tables, Infusion Tables, Instrument Tables, etc. 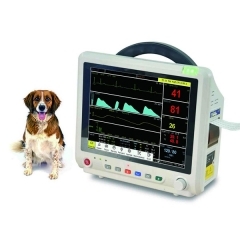 Patient Monitor Veterinary, portable design, cheap price with high definiton 12.1" LCD screen display. Our operation equipment is including Anethesia machine, Ventilator, Operation lamp, Electrocautery unit, Infusion pump, Patient monitor, etc. Veterinary CT scanner YSCT16V adopts integrated cast scanning gantry. Applications: Central nervous system, head & neck, thorax, heart & aorta, abdomen & pelvis, bone joints, etc. Veterinary Hematology Analyzer, Top brand in China, as famous as Mindray, 10.4 inch colorful touch screen display. 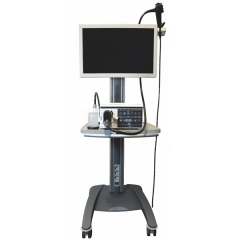 Our main product including Color Doppler Ultrasound, Veterinary patient monitor, Veterinary ECG, Veterinary Lab Equipments etc. 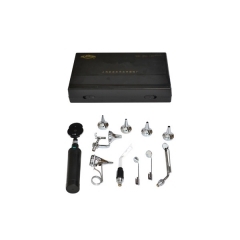 Veterinary Endoscopy, Video Endoscope for crow and horse etc, Best Quality and Performance. Our operation equipment is including Anethesia Machine, Ventilator, Operation Lamp, Electrocautery Unit, Infusion Pump, Patient Monitor, etc. Animal Digital X-Ray Machine, can see and edit images on computer directly. Our main product including vet X-ray machine, Accessories and Lead protective items for x-ray room. 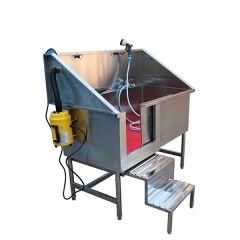 Veterinary Automatic Chemistry Analyzer, portable and fully automatic, sufficient for all kinds of small animals. Our veterinary lab instrument is including Hematology Analyzer, Chemistry Analyzer, Electrolyte Analyzer, Urine Analyzer, Coagulation Analyzer, Microplate Reader & Washer, Centrifuge, Microscope, etc. Veterinary Digital X Ray, can see and edit images on computer directly. Our main product including vet X-ray machine, Accessories and Lead protective items for x-ray room. Portable X Ray, totally sufficient for vet clinic radiography of dogs and cats. Our main product including vet X-ray machine, Accessories and Lead protective items for x-ray room. 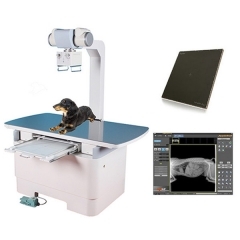 Veterinary X Ray Machine, totally sufficient for vet clinic radiography of dogs and cats. Our main product including vet x-ray machine, accessories and lead protective items for x-ray room. 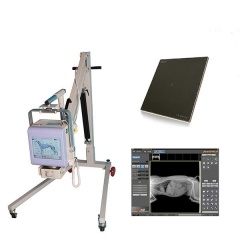 Veterinary Digital X Ray, totally sufficient for vet clinic radiography of all kinds of pets. Our main product including vet X-ray machine, X-ray Accessories and Lead protective items for x-ray room. 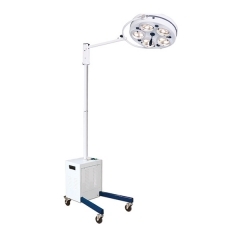 Veterinary Surgical Lights, LED operation lamp, AC/DC power supply. Our operation equipment is including Anethesia machine, Ventilator, Operation lamp, Electrocautery unit, Infusion pump, Patient monitor, etc. 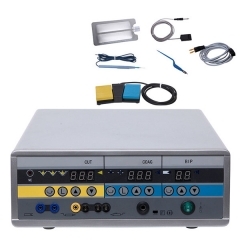 Veterinary Electrocautery Unit, portable design, 300W with 5 working modes. Our operation equipment is including Anethesia machine, Ventilator, Operation lamp, Electrocautery unit, Infusion pump, Patient monitor, etc. Veterinary Video Endoscope System, Video Endoscope for dogs, cats horse etc, Best Quality and Performance. Our operation equipment is including Anethesia Machine, Ventilator, Operation Lamp, Electrocautery Unit, Infusion Pump, Patient Monitor, etc. 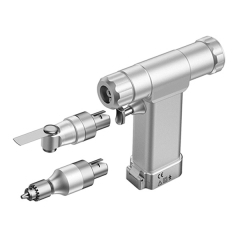 Veterinary Bone Drill, portable design, fully automatic with 3 connectors. Our operation equipment is including Anethesia machine, Ventilator, Operation lamp, Electrocautery unit, Infusion pump, Patient monitor, etc. 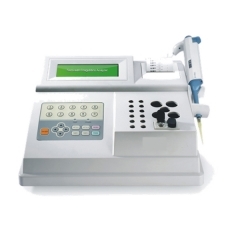 Veterinary Sperm Analyzer , Top quality in China, large LCD screen. Our main product including Color Doppler Ultrasound, Veterinary patient monitor, Veterinary ECG, Veterinary Medical Equipment etc. 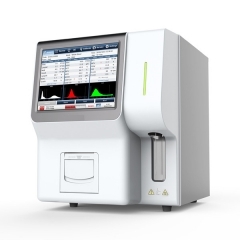 Veterinary Hematology Analyser, Top brand in China, 3-Diff 10.4'' touch screen, open system. Our main product including Color Doppler Ultrasound, Veterinary patient monitor, Veterinary ECG, Veterinary Medical Equipment etc. 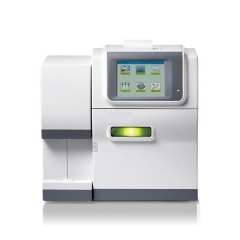 Vet Chemical Analysis Machine, semi-auto chemistry machine, with 5 inch touch screen and keypad. 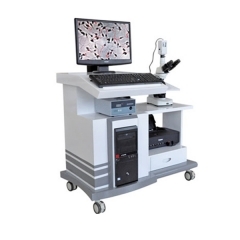 Our veterinary lab instrument is including Hematology Analyzer, Chemistry Analyzer, Electrolyte Analyzer, Urine Analyzer, Coagulation Analyzer, Microplate Reader & Washer, Centrifuge, Microscope, etc. 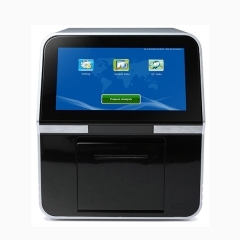 Vet Electrolyte Analyzer, throughput 60 samples/hour, with color touch screen. Our veterinary lab instrument is including Hematology Analyzer, Chemistry Analyzer, Electrolyte Analyzer, Urine Analyzer, Coagulation Analyzer, Microplate Reader & Washer, Centrifuge, Microscope, etc. 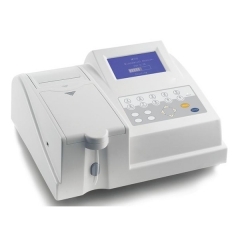 Veterinary Coagulation Analyzer, easy-to-use semi-auto coagulation analyzer with 2 channels. Our veterinary lab instrument is including Hematology Analyzer, Chemistry Analyzer, Electrolyte Analyzer, Urine Analyzer, Coagulation Analyzer, Microplate Reader & Washer, Centrifuge, Microscope, etc. 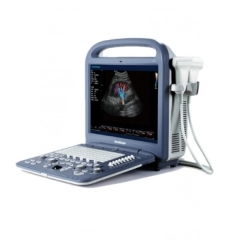 Color Doppler Veterinary Ultrasound Scanner, Top brand in China, as famous as Mindray, 15 inch color screen display. Our main product including Color Doppler and B/W Ultrasound, Portable and Trolley Ultrasound, 4D Trolley and Portable Ultrasound etc. 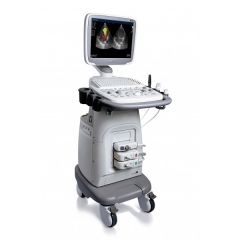 Veterinary Color Doppler Ultrasound, Top brand in China, as famous as Mindray, trolley color doppler ultrasound. 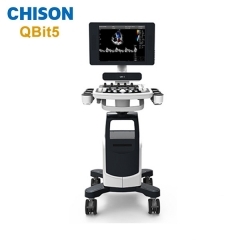 Our main product including Color Doppler and B/W Ultrasound, Portable and Trolley Ultrasound, 4D Trolley and Portable Ultrasound etc. 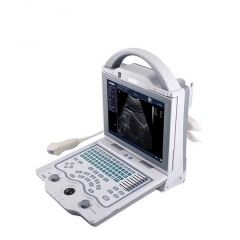 Veterinary Color Doppler Ultrasound, Top brand in China, as famous as Mindray, 15 inch LCD large display. Our main product including Color Doppler and B/W Ultrasound, Portable and Trolley Ultrasound, 4D Trolley and Portable Ultrasound etc. Veterinary Handheld Ultrasound Machine, medical handheld top selling model with lowest price, 6.4'' high resolution monitor. Our main product including Color Doppler and B/W Ultrasound, Portable and Trolley Ultrasound, 4D Trolley and Portable Ultrasound etc. 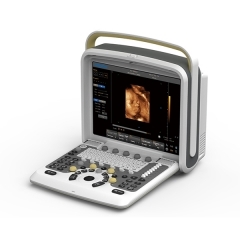 Vet Ultrasound Machine, good quality with good price, clear images sufficient for vet clinic. Our main product including Color Doppler and B/W Ultrasound, Portable and Trolley Ultrasound, 4D Trolley and Portable Ultrasound etc. Veterinary Custom Dog Cages ,factory animals customized all size cages YSENMED VETERINARY provides all kinds of vet equipment. 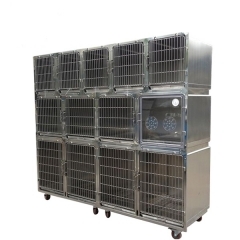 High Quality Stainless Steel Vet Cages ,cheap animals customized cages YSENMED VETERINARY provides all kinds of vet equipment. Pet Cage, Quality #304 Stainless Steel, durable, size can be customized. 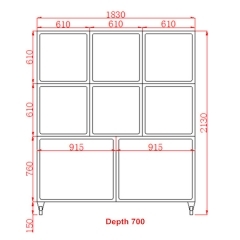 Our main products including Boarding cages, Pet Display cages, Oxygen cages, Transfer cages, Injection cages, Bathing tub, etc. 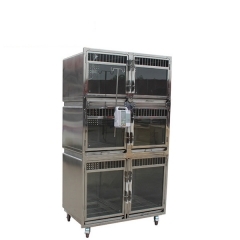 Veterinary Stainless Steel Big Cat Cage, Quality #304 Stainless Steel, durable, size can be customized. 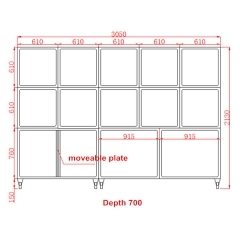 Our main products including Boarding cages, Pet Display cages, Oxygen cages, Transfer cages, Injection cages, Bathing tub, etc. Veterinary Oxygen Cages, Quality #304 Stainless Steel, durable, size can be customized. Our main products including Boarding cages, Pet Display cages, Oxygen cages, Transfer cages, Injection cages, Bathing tub, etc. 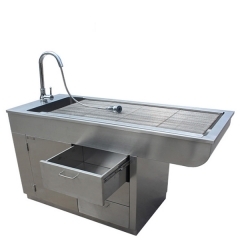 Veterinary Customized Cleaning Sink Price,factory animals customized all size cleaning sink YSENMED VETERINARY provides all kinds of vet equipment. Dog Grooming Bathtub, Quality #304 Stainless Steel, durable, size can be customized. Our main products including Treatment Tables, Cleaning Sink, Surgery Tables, Dissecting Tables, Infusion Tables, Instrument Tables, etc. Pet Bath Pool, Quality #304 Stainless Steel, durable, size can be customized. 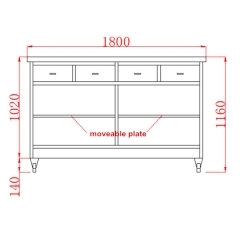 Our main products including Treatment Tables, Cleaning Sink, Surgery Tables, Dissecting Table, Infusion Tables, Instrument Tables, etc. 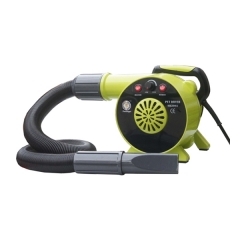 Professional Pet Dryer, the pet dryer is a small, compact, and powerful. Our main products including Pet Spa Tub, Veterinary Clipper, Veterinary Grooming Scissors, etc. 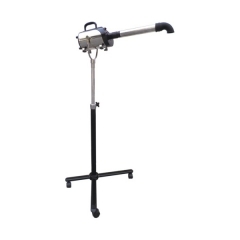 Mobile Stand Pet Hair Dryer, the pet dryer is a small, compact, and powerful. Our main products including Pet Spa Tub, Veterinary Clipper, Veterinary Grooming Scissors, etc. 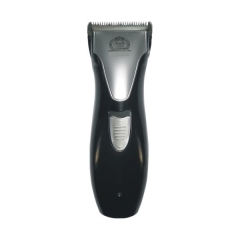 Electric Pet Hair Clipper, Rechargeable Pet Clipper, Ceramic blade, 4 comb attachment for leaving. Our main products including Pet Spa Tub, Veterinary Clipper, Veterinary Grooming Scissors, etc. 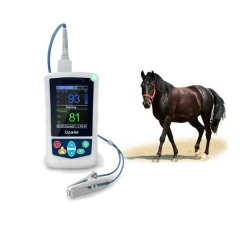 Veterinary Pulse Oxymeter, portable design, LCD display, animal SpO2 and pulse rate measuring. Our operation equipment is including Anethesia machine, Ventilator, Operation lamp, Electrocautery unit, Infusion pump, Patient monitor, etc. Veterinary Syringe Pump, for large or small animals, high accurate injection rate, double channels. 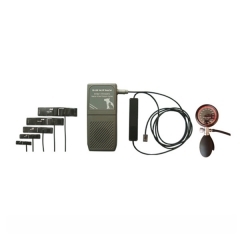 YSENMED VETERINARY provides all kinds of vet equipment. 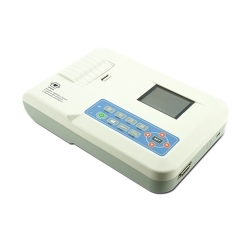 Veterinary Infusion Pump, for large or small animals, high accurate injection rate. 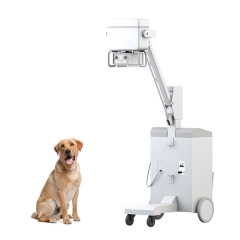 YSENMED VETERINARY provides all kinds of vet equipment. Veterinary Portable ECG Machine, portable design, 3/6/12-lead ECG waveform. Our operation equipment is including Anethesia machine, Ventilator, Operation lamp, Electrocautery unit, Infusion pump, Patient monitor, etc. Veterinary Doppler Blood Pressure Monitor, Portable Design, Rechargeable Long Lasting Battery, . Our operation equipment is including Anethesia machine, Ventilator, Operation lamp, Electrocautery unit, Infusion pump, Patient monitor, etc. 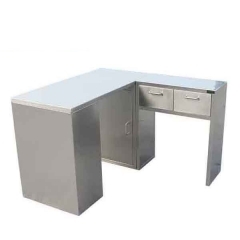 Veterinary Customized Working Table,manufactures veterinary customized working table YSENMED VETERINARY provides all kinds of vet equipment. 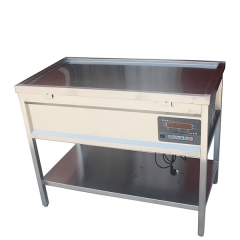 Veterinary Table for Treatment, Quality #304 Stainless Steel, durable, size can be customized. Our main products including Treatment Tables, Cleaning Sink, Surgery Tables, Dissecting Tables, Infusion Tables, Instrument Tables, etc. 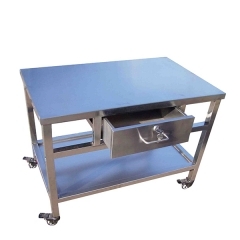 Dog Table for Treatment, Quality #304 Stainless Steel, durable, size can be customized. Our main products including Treatment Tables, Cleaning Sink, Surgery Tables, Dissecting Tables, Infusion Tables, Instrument Tables, etc. 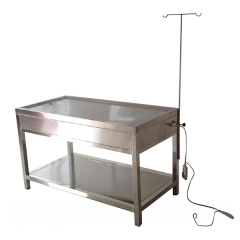 Veterinary Stainless Steel Infusion Table, Quality #304 Stainless Steel, durable, size can be customized. Our main products including Treatment Tables, Cleaning Sink, Surgery Tables, Dissecting Tables, Infusion Tables, Instrument Tables, etc. 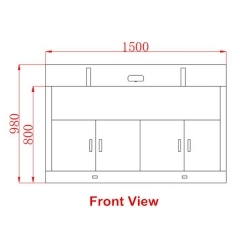 Veterinary Examination Table, Quality #304 Stainless Steel, durable, size can be customized. Our main products including Treatment Tables, Cleaning Sink, Surgery Tables, Dissecting Tables, Infusion Tables, Instrument Tables, etc. 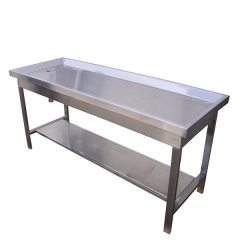 Veterinary Autopsy Table, Quality #304 Stainless Steel, durable, size can be customized. Our main products including Treatment Tables, Cleaning Sink, Surgery Tables, Dissecting Tables, Infusion Tables, Instrument Tables, etc. 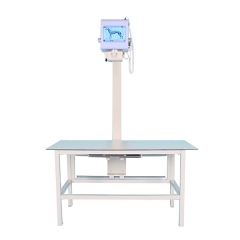 Veterinary Woods Lamp, Tube Imported High Power LED, Working Life of Ligh is Over 100 Thousand Hours. . Our operation equipment is including Anethesia Machine, Ventilator, Operation Lamp, Electrocautery Unit, Infusion Pump, Patient Monitor, etc. Veterinary Rebound Tonometer, Two Working Modes, To Measure Intraocular Pressure, High Accuracy. Our operation equipment is including Anethesia Machine, Ventilator, Operation Lamp, Electrocautery Unit, Infusion Pump, Patient Monitor, etc. 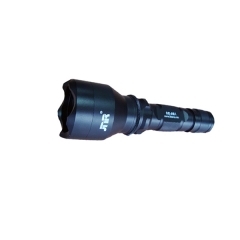 Veterinary Ent Set, Direct Illumination and Portable, Reusable Specula. Our operation equipment is including Anethesia Machine, Ventilator, Operation Lamp, Electrocautery Unit, Infusion Pump, Patient Monitor, etc. 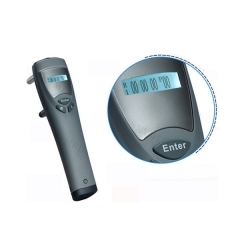 Veterinary Video Otoscope, Video Otoscope for Veterinary use, Ear Canal to Check Abnormalitites, Oral Examination,etc. Our operation equipment is including Anethesia Machine, Ventilator, Operation Lamp, Electrocautery Unit, Infusion Pump, Patient Monitor, etc. 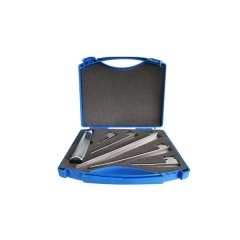 Veterinary Anesthesia Laryngoscope Set, Blades are Straight with 5 Different Sizes, Smalls and Big Ones. 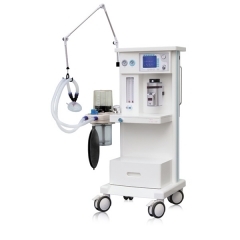 Our operation equipment is including Anethesia Machine, Ventilator, Operation Lamp, Electrocautery Unit, Infusion Pump, Patient Monitor, etc. 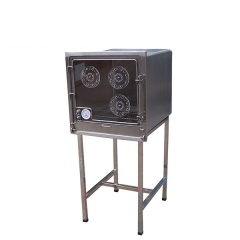 YSENMED Multi-functional Pet ICU Monitoring Chamber on Sales! 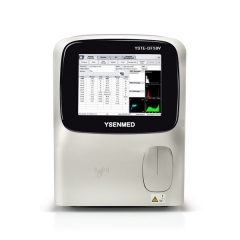 With a comprehensive line of products, from a range of leading manufacturers, it is no wonder that veterinarians trust YSENMED for the very best veterinary equipment for their practices.